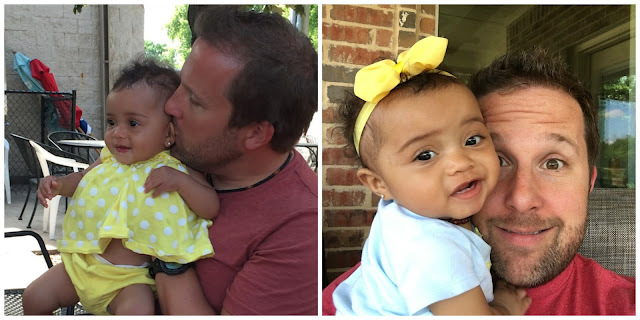 In honor of Christian Adoption Consultant’s Father’s Day discount, I am grateful to be sharing some guest posts from adoptive dads. When I asked David if he’d like to share a letter to his daughter’s birth mom here he quickly answered, “I’m tearing up just thinking about it!” (Oh the love of a father for his child…and to think God loves us even more than this!) Thank you, David, for sharing your heart for your daughter’s birth mama with us! There are so many things to say, and yet I find myself at a loss for words. So I guess I’ll start from the beginning. I had always dreamed of having a daughter. For whatever reason, I always wanted to have a little “daddy’s girl.” Early on in our marriage, Sarah and I talked about having three kids. Our first two kids were boys. I am crazy about those dudes. They have brought plenty of challenges as I have learned how to navigate being a dad, but they have also provided an unimaginable amount of joy in my life. If we had an all-boy family, I would have been delighted. But then we started talking about adoption, and my heart skipped a beat thinking I might actually have a little girl. I will never forget the call from our consultant, Katie Fenska, when she said, “Ready for a miracle? 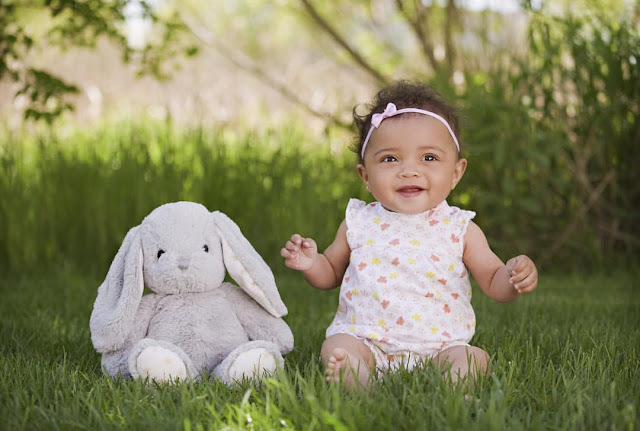 There is a little girl in Florida that needs a family!” It might have seemed chaotic and it might have made you uneasy, but God had a plan for that little girl that you birthed. I will never forget finally pulling up to that hospital. And never will I ever forget laying eyes on our daughter. I felt the exact same connection laying eyes on her as I did watching my boys being delivered. It was truly love at first sight. In that moment, my world was changed. Several hours later, we got to meet you for the first time. Sarah and I were nervous. I can only imagine what was going on in your head. I won’t pretend to imagine or put to words how you were feeling in a hurricane of emotion, but you locked eyes on me, and said, “This baby is going to have a daddy and brothers to protect her.” I will never forget that. That was one of the reasons you were so at peace with our profile book. You wanted that for her. What you didn’t know is that this daddy had longed for a daughter to protect. Everyday, we get the chance to wake up to her massive smile and saucer-like eyes. Everyday, her little laugh is spread to one or more of our family members. Everyday is a reminder that you chose life for her. You chose us to raise her. She may not have the exact same color skin as we do, but she is one of us. Everyday, we are reminded of the gift that you gave when you bravely chose life for her. To say “thank you” seems ugly as a means of gratitude for the priceless gift of the daughter that I longed for. God knew what he was doing to forever interweave our lives. He knew exactly the right family for this little girl. He knew that this dad longed for a daughter. He knew I needed Tilly. You can read more about David and Sarah’s beautiful adoption story here . Please contact me at katief@christianadoptionconsultants.com for more information about domestic adoption!